CLOSEOUTS. 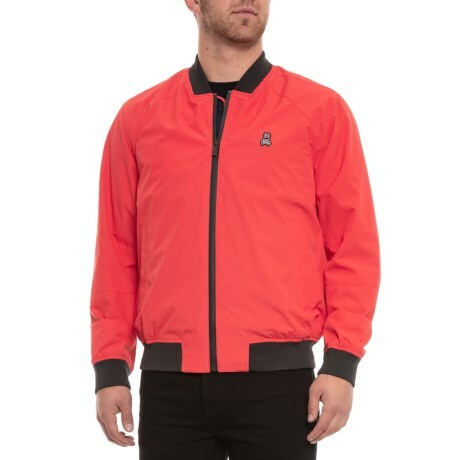 Psycho Bunnyand#39;s Aberdeen jacket offers two-layer water-resistant protection and bomber style in a tough soft shell topper. Available Colors: BITTERSWEET, BLACK, NAVY, EKHAKI, MARINA. Sizes: S, M, L, XL, 2XL.